Below a reply from Stephanie to the email I sent her about my time living at no. 40 Kent Street North at the start of Russell Terrace. Our house was opposite where Stephanie lived in the house once occupied by the Kavanagh family. 25/09/2012 David Chapman from Kent Street North at his wedding to Valerie outside St Chrysostoms church in 1958 . Can anyone name the other guests? My maternal Grandparents all lived in the All Saints area, but what surprises me is the amount of times they seem to have moved house.John Underhill, my Great Granddad married Matilda Kirkham at St. Mary's in 1883. Their first child Nellie was born at 44 Abbey Street in 1884, their second Ada Emily was born at 5 Clifton Terrace, Kent Street North in 1886, then came John George in 1888 born at 30 Devonshire Street. In 1890 when their fourth child, Alfred William was born they were living at 5 Ada Place, Kent Street North and they are listed on the 1891 Census as living at 2 Kent Street North. My Granddad Harry Joseph was born in 1892 at 220 Lodge Road and their youngest child Margaret Victoria was born in 1897 at 139 Lodge Road, but by 1901 the family had moved again and were living at 21 Norton Street. To read the rest of this great story please go to the stories page, well worth the effort. I attended school with the Poole family, all great footballers, Freddie,Billy,Kenny Poole* played for my football club,Called "Winson Green Royal" we played at Black Patch Park. I also knew big Billy Jones (ashphelter) and Billy jnr. and Horace & Doris Davis and at the pub on the corner Devonshire Avenue and K.S.N. the Spillers. I could continue for ever. Colin Mills Don Sreet 1931-1963. 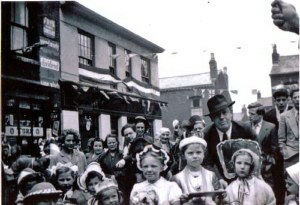 Two photographs take in 1953 in Kent Street North at the Coronation celebration, note picture on left shows The Princess Alexandra pub (The Alec) sent in by Maureen Harwood who had them sent to her by BETTY AND JOHN FISHER who came from KENT STREET NORTH. DOUGIE PRICE 04/02/07 Information requested on your site regarding a dear friend of ours Dougie Price please feel free to get in touch and we can help. I was just reading the letter from Carol Dyer. She says she used to live at 4/16 Kent Street North. I did too! I am so sorry that Carol has passed on as it would have been good to discuss the house which I remember clearly but my brothers do not! We moved there in 1967/8. We were a family of Irish immigrants I was 5 years old and I had an older brother Michael aged 6, two other brothers were born in the next 2 years. Six of us in a 1 down 2 up for the next five years, when the council decided to knock them down. I remember playing on the road that lead to the REC (Devonshire Street then Devonshire Avenue) It was steep and we used to ride our makeshift bogeys down the hill. I have lots of other memories. Some good some bad. My friends and I used to call the Flat "the flats" we thought it was called the flats because of the block of flats that was built at the bottom of Lodge Road hill just before you got to the flats and the shops where mom used to do her shopping each week. Also at 4/16 and associated courts we used to call the brewhouses "bluehouses"! Many of them were painted blue and I never saw them used for their purpose. By the late sixties the families were going to the washeteria on I think Bacchus road. The bluehouses became dens for the kids and were in serious disrepair. We used to climb through the holes on the roofs which were made of something that looked very much like corrugated asbestos. I do hope it was not! I went to St Stephen's RC school Nineveh Road Handsworth (the Irish catholic thing) and notice that their are no entries for this school at all! It has since shut down. I would be quite interested to hear from people who went there. Eileen Buckley and Noeleen Whelan were particular friends Eileen lived in Norton street and Noeleen lived on the road that was at the top of the gully past the REC (Talbot Street?). I had a limited number of photos which have been lost and they were of the outside of 4/16 which we sometimes called 4/15 Kent Street North. One of the photos was of me in my first holy communion dress next to a friend (Caroline O Connell or O Connor) in a green dress. Three years later there is a photo of me at school in the same dress that my friend was wearing! Nothing went to waste in those days! Does anyone remember a trip to Weston Super Mare organized by councilor Tony Banks or is this another Tony Banks? This was my first trip to the seaside and I remember it vividly. it was a free trip for the two streets KSN and Norton Street. I went on to George Dixon Grammar School in 1973 and Liverpool Uni in 1980 and now teach in a secondary school (Chemistry) in the North West of England. So it was not too bad a start in life. My links to the area now are limited to the quizzes at the Black Eagle in Factory Road. I hope you are interested in what I know about my family. The Cliftons married into the Eades family of Markby Road and the Cadby Family of Aberdeen Street. William Clifton's father William Clifton b.1797 was born in Great Malvern and died in 1878 in Wellington Street. He was a bricklayer too and his father before that. I read your bit on the history pages telling about the terraces in Kent Street North. I was excited to find that one of the Terraces had been called Malvern Terrace as this seems to confirm that my ancestor had something to do with naming some of them. This ancestor was William Clifton, He was born in 1842. His father had been born at St Ann's Well in Great Malvern and in the 1891 he is recorded as living at 4 Clifton Terrace. They had lived there probably since it was built, as he was a bricklayer journeyman. I have a birth certificate dates 1884 with that address on it. Could you please tell me what the house was like and if possible send me a picture, which might be of interest to me. I shall most likely be adding my story to the list even though I never saw the street as it was. Does anyone have a photoof Clifton Terrace???? or Kent Street North????? My family lived and worked from Devonshire St, Lees St and Kent St North. I have just pushed the magical age of 6 Zero and have received Senior Citizen's Centro Pass. 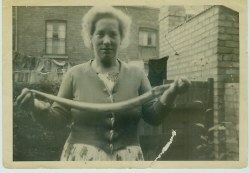 Mother rented 23 Lees St in 1943 ( from a Mrs ---- ) whilst Dad was in West Africa and then Burma - I came along in 1945. 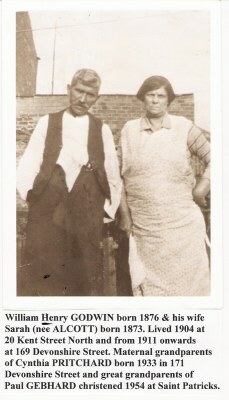 Nan and Grandad Kavanagh lived at 8 Kent St North. Uncle Bill and Alice Cotton lived at 2 Lees St and Bill and Flossy Fell lived next door( daughter Regina is still around in Bromsgrove) Mom was bought up in Devonshire St and went to Norton St school around 1923 ( she has photographs of her in school plays) Dad and Grandad ran a coal transport business from the yard ( mentioned as Kavanagh's coal yard ) after dad came back from the army in 1945. I have a super photograph of his lorries parked in Kent St North which gives a lovely impression of the road and the back to back terraces. Anscombes on the corner - Horse drawn milkmen - 1 penny bangers making super boom's up entries - Train spotting down the bridge on Handsworth New Road ( a little later that is) - buying Topee helmets from Bushell's yard (ex-WD on Lodge road) - buying red, yellow and green flags on sticks from Bushell's -Dad buying me half an ex-army sledge from Bushell's as well. Enoch Wassell most of the female members of the family were wooed by his son Teddy . Mother remembers the glass blowers making their own bottles and sending the lad down to the outdoor for them to be filled with beer. Just found you web site, lived in Kent Street North until late 1950's what a change!!. Great memories of Winson Green as a child.Thanks for your photo's . Also info about the Gypsys in Back Patch Park. We used to live a 4/41 Russell Terrace..Mom & Dad ..Alma & Arthur Bayliss & my sister Pat. I can just remember some of our Neighbours..Mrs Adams (Who kept chickens in her front Garden!) Mr & Mrs Payne & their son Keith & the Spooner family. At the bottom of the terrace on the opposite side of the road there was a little shop (Can't rembember the name) (Mrs PLUME). We had no hot water...kept coal under the stairs and our bath hung on a nail on the outside wall!! !.I can remember my mom (She passed away last year aged 93) doing the washing in the 'brewhouse' at the top of the terrace also all the toilets for the terrace were there as well! My dad worked in the jewellery quarter involved in the manufacturer of same. As a family one of our regular treats was the tram ride to the Lickey Hills...in the summer....magic if you could get a seat up top at the front!!. My Auntie, Uncle & Gran lived at 61, Musgrave Road (Horace & Emily Ward) and I remember going with my Cousin Anita to Mrs Emmings little shop for sweets when we used to visit. I was at Benson Road School until the late 1950's when dad decided we should try to get a better way of life in Cornwall...and all of us dad, mum,my sister, her husband Doug Martin & my baby nephew Stuart piled all our belongings into an old Bedford van & moved to Cornwall....lived in a old rented caravan for a while...but it all came good in the end thanks to dear Mom & Dads efforts. As and when I can think of things I will pop them on your website,thank you for caring enough to creat it ........I will get my sister & her husband over to read through it....if anyone has any questions or the think they may remember us please ask tham to leave a message on your site.. 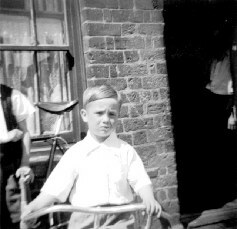 I was born in Kent Street North 1952 my name Susan Cooke my sisters are Ann and Doreen our parents were Lily and Walter we lived half way down the street at no 12. I also remember the "Flat" and Yarnalds, Woolworths and the dripping cakes on a Saturday that was our treat. I went to Benson Road School then Handsworth NewRoad School. Somewhere in my loft I have photo's of Kent Street North. Hope you have another reunion!!!! I was born in Kent St North in Jan 1931 the youngest of five children one of whom died with diptheria before I was born.We lived at no. 9 Victoria Terrace the last house on the left next to the brewhouse.There was a row of about five toilets at the top of the terrace serving about ten houses.I remember the "Alex" on the corner and a fish and chip shop on the opposite corner.There was a factory in Devonshire St between Kent St and Lees St on the far side and a little sweet shop above it towards Norton St. outside of which there was a vending machine from which one could get two Woodbines and two matches in a packet for a penny. 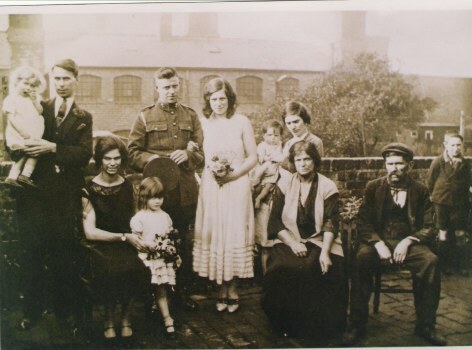 My father lived at 23 Lees St in a family of 7 boys and 1 girl and he worked in the Jewellry quarter as a polisher. My mother lived at 1/5 Piddock St and served as a barmaid in her uncles pub.They were married in 1922. The Railway pub was run by Rose (can't remember her maiden name) in the early thirties who became my aunt when she married my uncle Harry (youngest father's brother).She lived at the top of Wharf St on the left hand side.They later moved to manage a pub in Smethwick called "The Engineer"just down the road from the tram terminus probably Wellington or Boulton St just inside the Smethwick boundary. I attended Benson Road infant school until we moved in 1939 and remember the"rec" in Musgrave St, I had to walk up a path between the "rec" and the railway to get to Benson Road. I returned to the area as I attended Handsworth Grammar in Grove Lane after winning a scholarship from 1941 to1946. I have fond memories of the Saturday afternoon "twopenny crush" at the Winson Green picture house we used to walk it and save the tram fare to buy sweets with.They used to show a serial "Flash Gordon" and "The Lone Ranger"
I remember. 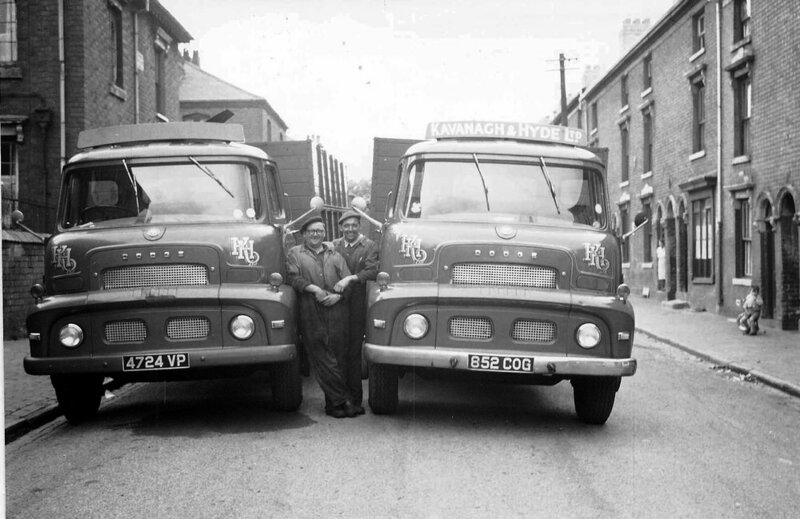 There was the "Rowlands Bakery" in Norton St, the building still stands but is derelict now. Firstly, congratulations on a great website – my granddad Edward Mann grew up in Kent Street North from about 1913, having being born in Aston in 1908. He married in 1940 and moved to Smethwick, before coming back to Birmingham in 1950 and living in St Michaels Hill, Handsworth. His father was (Edward) John Mann, who lived at 4 back of 22 Kent Street North for 50 years, from 1913 until he died in 1963. He lived there with his wife Lizzie (nee Cook). Lizzie died in 1952 and Edward John used to pay a neighbour, Dorothy Shurmer, a small amount each week to make his dinners for him. In January 1963, he had a lodger living with him, who my dad thinks was a John Keen. Edward John called him down one morning to make sure he was up for work, and by the time John had got downstairs, Edward John had died! Best wishes with the website – keep up the good work. Dave Mann. Homes in Kent Street North were a mixture, on our side of the road we had Albert, Russell and Victoria Terraces together with Malvern and Matlock Places, (sounds posh, but they were not) on the other side were Court Yards 1 to 8 and the best in the street Clifton Terrace a total of approximately one hundred homes. At best the houses could be described as adequate with, no hot water, no bathrooms, shared lavatories, brew-houses and miskins. The terraces however provided a wonderful warren of places to hide, play and get into trouble in. Our house no.40, fronted Russell Terrace, enabling us to have a cellar but it was always under water, before using the coal we had to dry it out. Attached to ours were four more houses, they were like most of the others in the district, one room down and two up. Gardens about 8-foot square lead of the passageway. Our house had a side and front door; the front door was always locked, but could opened onto three steps. The steps provided a seat and a meeting place for the local kids it was illuminated by a gas lamppost directly out side. Many a bucket of water was passed under the door to break-up the meetings. As children we tended to group or gang with others in the street. Outsiders from the adjacent streets were treated with caution. We played our own games lasting all day until the night came, then our mothers started rounding us up for bed. At the Lodge Road end of the street there were two long, high walls, one on each side of the horse-road. In the summer this was our cricket pitch and in the winter our football pitch. At each end of the street one of us would look out for the local policeman (always around), one day we did not see him coming and ended up at Dudley Road Police Station. Our parents were sent for and we all received a telling of for ”playing football in the street! !” Much agro was also received when retrieving the ball that had accidentally found it's way over the wall into the gardens of the big houses on either corner of Lodge Road. Ted Rudge, "National Senior Learner of the Year" Award Winner. Receiving his award from the Rt Hon. Ruth Kelly MP, Secretary of State for Education and Skills at the launch of Adult Learners' Week 2005 (23/05/05) at The Queen Elizabeth II Conference Centre in Westminster, London. 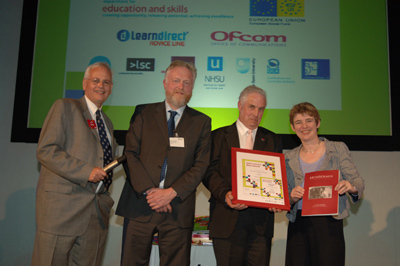 Far left Alan Tuckett, Director of NIACE. "We lost ourselves for 2 hours yesterday evening laughing and remembering the old times whilst reading your Winson Green Website. "My how the years have rolled back"! - Our "end of terrace town house" (ha,ha) fronted on to Kent St North with the tradesman's entrance in Clifton Terrace. I now live in a village north of Leicestershire by the River Soar (a far cry from Kent Street North) but have often thought about Kent St and the many childhood friends I had in that street. I can remember those names mentioned on the web site and many more. I can still see you Ted and others in the street playing cricket and football up against Kench's wall. I also remember old Sarah Jevons very well and how she used to talk to the chips and keep her money in her knickers. Sandra Kench (Hingley) my hubby's cousin lived at 50 Kent street North one day she went to cut chips in Sarah's fish shop and as she walked out, having finished her task, a cockroach crawled out of her shoe. It was horrible but we couldn't stop laughing! My, wouldn't the environmental officer have had fun in those uncomplicated days! We got married at All Saints and were mortified to find just a 'car park' when we returned on a day trip to Brum a few years ago! " My Memories of Kent St North 1940 - 1962 17/08/03 My name was Doreen Cooke I went to Benson Road Jr school and then Handsworth New Road Girls school, I lived at 12 Kent St North, next to Mrs Plumes shop and Kavanaghers coal yard. I used to go to Mr & Mrs Williams Sunday school institutes, one very hot Sunday my friend and I didn't fancy going so we went to Blackpatch Park instead. We had no sense of time in those days and didn't get home until 4 o`clock our mom had the police out looking for us `We NEVER did it again I can remember going every Friday to Mrs Jeavons Fish & Chip Shop as my farther got paid on Fridays it was the only night we could afford fish & chips, Mrs Jeavons kept her purse up the leg of her knickers, if she hadn`t got change she would go to the back of the shop, and get the purse from her knickers to give us change we used to laugh about it, Once I went with my friend June to Lodge Road coal wharf for some coal, we put the coal in the barrow and pushed it to Junes house we opened the cellar grate to empty the coal down, as we tipped the barrow up the handle went though June`s moms window (Did we catch out) June & I still laugh about it now. My father Walter Cooke always went down to the Alec Pub for a few pints on a Sunday he would always bring back a bottle of Woodpecker cider to have with our Sunday dinner, I was allowed to have a small cup of it, we had not got any glasses we couldn't afford them in those days. When I got home from school on a Monday I had to light the fire in the Brew House down the yard for mom (Lilly Cooke) to do the washing when she came home from work, she would be there until dark scrubbing and boiling the whites, if it rained we had to dry the washing in the attic there was a line from one side of the wall to the other, and there was a small black fire grate up there but was never enough coal to have a fire very often. I can remember playing out all day with the gang we never got in much trouble and we all played together at the top of the street Lodge Road end. I have so many happy memories I could go on all day my grandchildren love to hear the story's of the days when we had no hot water or a bath or electricity, And how we used to take a bucket to bed in case we had to go in the night as the toilet were outside the house in the back yard.I would like to send my regards to all my old friends of Kent Street North and I will always remember the good time we had growing up there together. OUR HOUSE. We lived in a back-to-back house, down an entry. No electric, we used to have to buy gas mantles, very thin white things you had to handle them with care. An outside toilet with a brew house in the middle of the yard. OUR ENTERTAINMENT was the wireless (No TV). Workers Playtime, Housewives Choice, Two Way Family Favourites. Billy Cotton Band Show, Have A Go Joe with Wilfred Pickles “Whats on the table Mabel”. I suppose my favourite day of the week was Tuesday. That's when my mom went to collect her family allowance 7/6d from the post office down THE FLAT. She always had our favourite comics waiting for us when my brother and I got home from school. My comics were School Friend and Girls Crystal Along with our comics was our cakes Jam turnovers and Dripping cakes from “Hunts” on The Flat. THE SUNDAY SCHOOL INSTITUTE LODGE ROAD. My friends and I used to go to the Institute the highlight of which was the Anniversary parade round the streets. The Boys Brigade in front followed by the Girl Guides and Brownies and then us dressed up in our best clothes proudly marching behind. The Institute was run by a lovely couple Mr. & Mrs. Williams who later on in the 50's opened a youth club which is where I first heard Cliff and The Everlys. I have memories of taking my nans wireless batteries up Lodge Rd to be charged up. 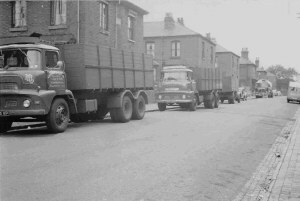 Memories of pushing an old push chair up Lodge Rd to the wharf to collect coal. The 96 bus. (that's another story) if you missed one the game was to try and beat the next one to the top of Lodge Rd or down to The Flat, what an achievement if you managed to beat the bus. What a treat that was to go and see all the films. My Moms favourite being Alan Ladd and my dads John Wayne and Doris Day. At the interval a cup of ice cream (or tub) with a little wooden spoon or orange maid iced lolly. Then when the film was over, everyone trying to get out or not leaving until the national anthem was over, the Queen's picture sitting there on her horse. And then if we missed the bus, my dad would carry me on his shoulders down Lodge Rd. Anscombes shop was on the corner of Lees St.
MY MOST TREASURED MEMORY OF KENT ST NORTH. Months before Xmas I saw this beautiful doll in Anscombes shop window (corner of Lees St). I can't remember how much it was but I knew my mom could never afford to buy it. I wanted this doll so much that every week I would go in and put my pocket money on it. Needless to say come Xmas that doll was mine. I took her everywhere with me, on the bus to my aunts up Newcombe Rd Handsworth dressed in real baby clothes that one of the neighbours had given me. My doll even had to go the Dolls hospital on Soho Rd as her eyes had fallen into her head she got repaired and was still the most precious thing I'd ever had. I've never forgotten saving my pocket money to buy that doll. I do remember if my mom ran out of milk she used to add water to it to make it go further. “Happy days though” “Poor we certainly were but such memories are rich in abundance”.Hope you enjoy reading this little bit of Kent St North. I loved Kent St North, the people were wonderful. I've always lived in Winson Green, apart from six months in Harborne when first married in 1965, then moved back to Devonshire Street, then surprise back to Kent St North for a couple of years. My name is Carol the younger sister of Gwen. Our parents were Elsie and Bill Dyer and we lived across the road from you at 4 back of 16. You don't get house numbers like that any more thank God. It was a lovely surprise when I read your chapter in the book, "A WALK DOWN THE FLAT", it brought back such a lot of memories as you were describing the houses etc. along the streets, it was if I was back walking with you. I remember Plumes shop well, the strong smell of vinegar and all those bundles of firewood. Do you remember their old dog that used to sit on his step until late at night. My most vivid memory was when they left and the removal men dropped his piano from the bedroom window, what a racket, I couldn't begin to describe it, but I've never forgot how it sounded. Do you remember the Jones who lived up your yard. Their young boy David used to sit on your step singing his own version of the Banana Boat song, "I see woman on bended knee flogging johnnies for 1/3d", it was so funny as he was only 3 or 4 at the time. He later went on to greater things when he drove the bread float into Mrs Rose's front window with Cathy inside. Poor Cathy even I at such a young age felt sorry for her. My Dad was a bit of a poser at heart. He had just bought himself a new pair of flannels and a pair of white pumps, (eat your heart out Burtons),when he decided to stand at the top of our entry showing them off. All was well until Mrs. Clemsons scottie dog went up to him, had a sniff round, then peed up his leg. You mentioned Mrs. Pipers shop. Do you remember Mrs. King who owned it before her. She was a rather large lady. My Mom and Dad used to go to the "Alex" Pub run by Mr. and Mrs. Kemp. I knew their son Graham. 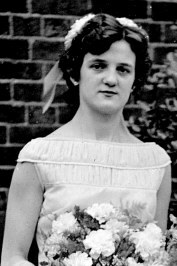 They also had a daughter Margie, she was quite glamorous, and served behind the bar and must have been very friendly. I can remember my Mom saying to my Dad ,"I'll give you bloody Margie Kemp", I don't know if it was more in her mind or my Dads, or perhaps it was the grey flannels and white pumps!. You didn't mention the Cafe' next door to the R.E.A.L. it was run by Mrs. Berry till her husband died very young, it then turned into a general type of shop. I remember my Mom buying me a doll for Christmas from there. The shop next to the coalyard was very non descript, but do you remember when the window full of fireworks went off, what a display for free. The "mint" man "Piggy" used to frighten me to death. I would dread Sunday morning if I could smell lamb cooking as my Mom would send me round to get some at 2d a bunch. I used to help Sarah Jeavons, as did many kids. I was in there one night when an irate Amy Woodcock from Norton Street came in, ( She had a daughter Sheila ), complaining. She had bought what she thought was a piece of roe, but unknown to Sarah, her husband had decided to batter a sausage for his supper. Poor Sarah, she had sold it to her as roe. I wonder if he realised that battered sausage would be very popular in later years. Opposite Sarahs was the Outdoor up two high steps and next door was the penny Vantas shop. I bet you can't remember the Streets Football team, Kent Street North Albion. The results were pinned up in a box outside Chapmans where June and David lived. David actually played for them, they didn't do very well and didn't last very long. Was your garden really as small as you say, it always seemed huge to me, especially when you or John came to tell us off for climbing on the palings. Next to you were the Saunders whose husband was a bus driver. They had two girls Valerie and Mavis. I remember the Jones and Broadbents whose boy always seemed to be walking on his hands. I had two close friends in Kent Street, Valerie Chaplain and Maureen Ashwell who was my Bridesmaid, she lived behind the Boyce's. What a lovely close family the Boyces were. I remember your Cousin Josie who had a nasty accident to her leg. I went to visit her in hospital, ( I was in there to have plaster removed off my broken wrist ). She was sitting up in bed with a doll, but someone had given her a lipstick and she had more on the doll and sheets than she did on herself. I wonder if she can remember it. She lived in Devonshire St where my Mom and Dad's close friends lived. Ivy and Bert Roath. Who would have thought a chapter in a small paper back could evoke so many happy memories. I hope I haven't bored you too much. Ted, confession time, this letter was written two years ago and laid in it's pad not knowing where to send it. Then came the magic of the net. Will send pictures asap. Thanks for the photo of the Alex football team with my Dad and Bert Roath. I went to a few matches at Black Patch park. I didn't understand it, but all that talent!!! Carol and her mom Elsie, Guess what Elsie is holding in their back yard ???? My wife Carol Walton (Dyer) died on the 27th September 2005. I am afraid that it has taken me this long to be able to draft this letter. It was Carol's wish to thank those who wished to speak to her about her article on the Website. Therefore in order to conclude the piece would you please include the following after Carols' contribution on the Website. I am afraid that my battle against cancer prevented me from doing so and I was extremely disappointed at not being able to respond. My thanks to Ted for a wonderful Website and for making these memories come alive and be made possible". "This photo was taken on the 4th May 2004, three weeks after Carols major operation." "Carol was married to Gerald Walton from Nechells for forty three years" .